LOCATED IN ISERE, CLOSE TO THE LAFFREY LAKE, OUR CAMPSITE “AU PRÉ DU LAC “IS BASED IN A PRESERVED NATURE. CENTER OF MANY HIKES AND VISITS, IN THE HEART OF HISTORY, THE CAMPSITE OFFERS ACCOMMODATIONS CORRESPONDING TO ALL YOUR EXPECTATIONS. BUT ALSO, A GOOD FOOD SERVICE QUALITY. 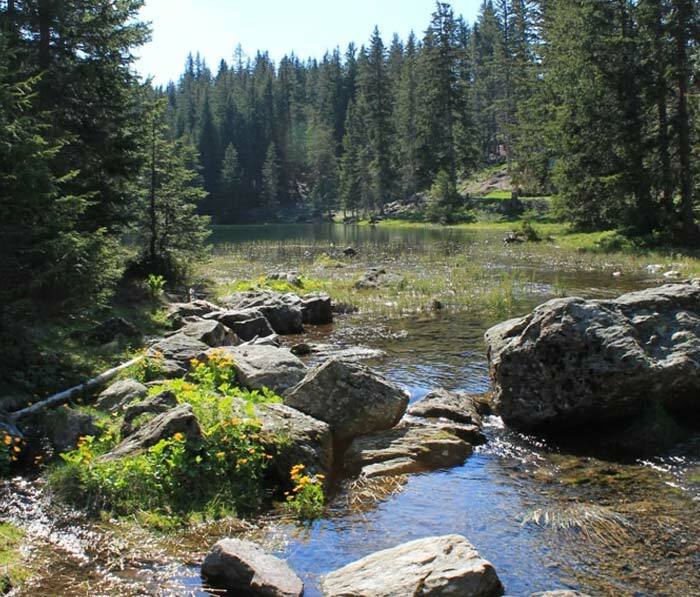 In front of the Laffrey Lake, the campsite is in the heart of wonderful landscapes. Located in the south of Isere, at about thirty kilometers from Grenoble, it’s in the middle of the beauties of the Matheysine and its natural lakes. Close to the ski resorts, such as the “Alpe du Grand Serre” or “Chamrousse”, this campsite in Isère is a start point for many beautiful hikes. 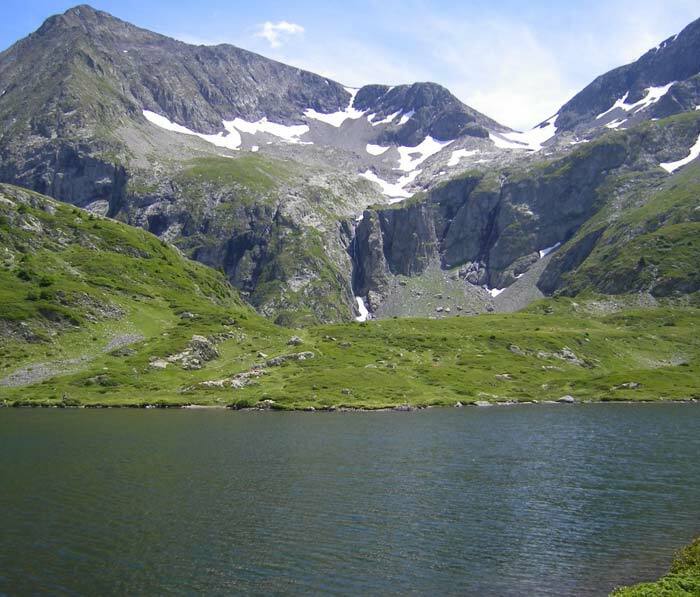 You can reach mountain lakes, like the “Poursollet Lake”, with fresh and clean water. 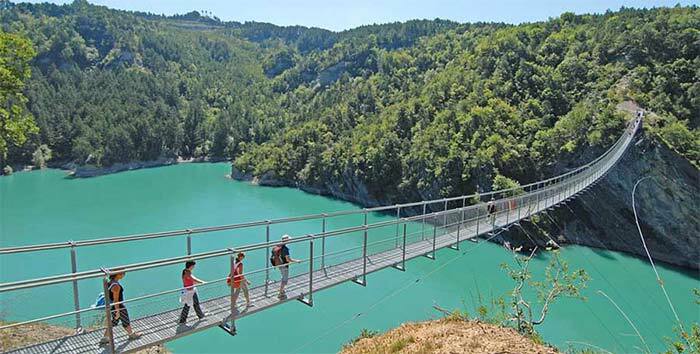 The bravest ones will discover the air bridges wich dominate the green waters of the “Monteynard lake« . In this country, where there are some traces from the past, history lovers will not be left out. Not far from the campsite « Au Pré au Lac », the Castle of Vizille, which you can visit; housed the meeting of the general states of Dauphine, prelude to the French Revolution. At Laffrey, you will find the memory of Napoleon, who, in this place, rallied to his flag, a royal regiment. 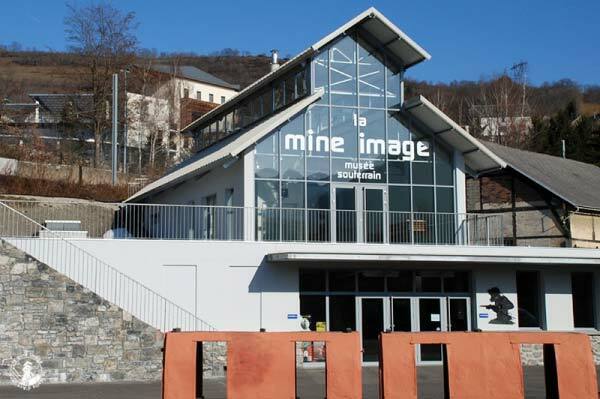 Starting from this Laffrey Lake campsite, another excursion will take you to the “Image Mine Museum”, near to the Napoléon road, where the work and living conditions of the anthracite miners are well reproduced. In” La Mure”, near Grenoble, you can still discover the traditions and culture of peasants and artisans who lived on the “matheysine” plateau. In this campsite which is next to the lake, you’ll find a beach made of grass. The lake is able to propose you a lot of activities. Parents and children can practice swimming and fishing. Canoes are also at your disposal. If you prefer to sail, a nearby nautical base offers you the opportunity. But, aswell, lovers of the deep sea can practice scuba diving. Near to « Au Pré du Lac » campsite, thrill-seekers can also find places for vertiginous paragliding flights. But other sensations are waiting for you! 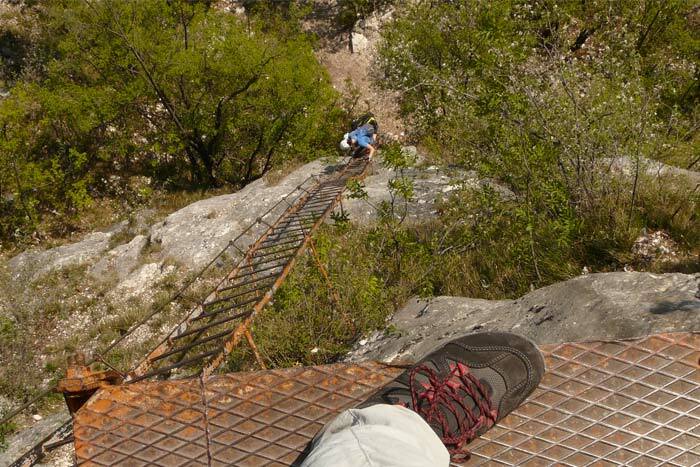 If you practice mountaineering, or if you want an initiation, you can try a via ferrata. The principle is to climb on a wall made of rock. This wall is equipped with ladders and cables that will facilitate the progression. Other climbing sites, suitable for all levels, still offer other courses in the region. Do not miss the Air Park in Laffrey, where you will fly in unspoilt nature, lakes and rivers. You can even bike over the void! Not far from the campsite in Isere, canyoning courses will give you good sensations. With the help of professionals, traces and ways in the rock are here for you to learn or practice a great new activity. 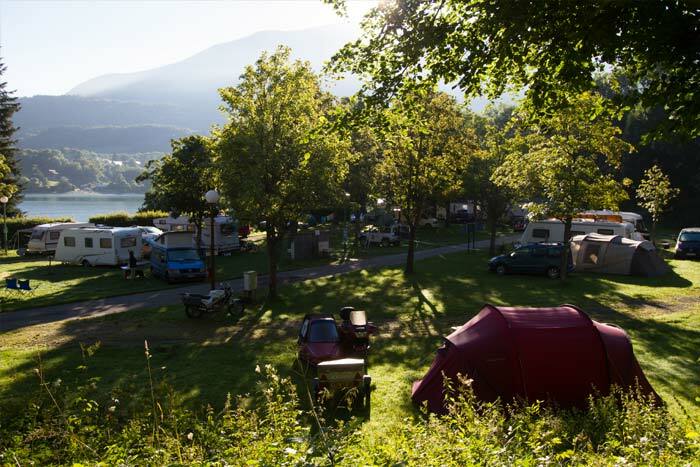 The « Au Pré du Lac » campsite offers you, first of all, the type of accommodation in function of your expectations. There, you will find, for your tent, or your camper-van, a large shadowed space with an electric installation if you need. Other types of accommodations are available. You can opt for the heated hut of 14 m2, which includes four beds and a kitchenette. Depending on the number of people, you can also choose a cottage with two or three bedrooms, equipped with a bathroom. Our mobile homes, from 30 to 37 m2, also include two or three bedrooms and a bathroom. 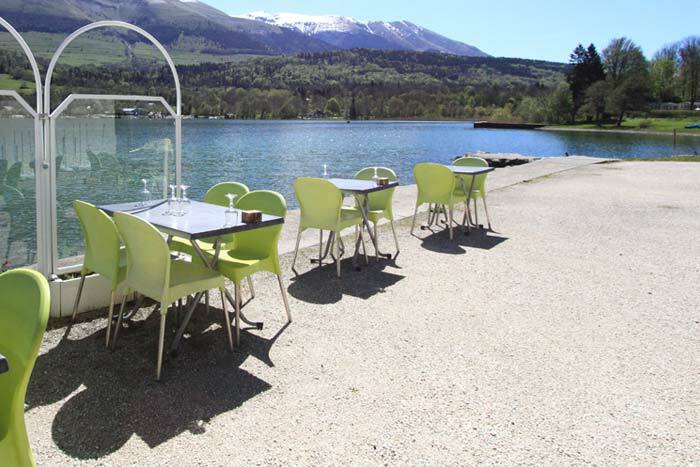 Once properly installed, you can make an excellent meal at the restaurant of your campsite « Au Pré du Lac ». Open from March to October, it offers varied menus, composed with local products. For example: poultry, porc sausages, fruits and vegetables come from local producers. You will be served on a terrace in front of the Laffrey lake or if you prefer, in the common room, decorated with care. You can choose between a menu option and a varied menu. Both are offering a tasty and gourmet cuisine. The Lake of Poursollet is located in the Taillefer mountain range in the town of Livet-et-Gavet. The lake is at an altitude of 1649 meters. It’s easily accessible by car from the departmental road, called « Route du Poursollet ». The Fourchu Lake is relatively easy to acess via the GR 50. Starting from the Poursollet Lake to the west or starting from the village of Onon to the east. 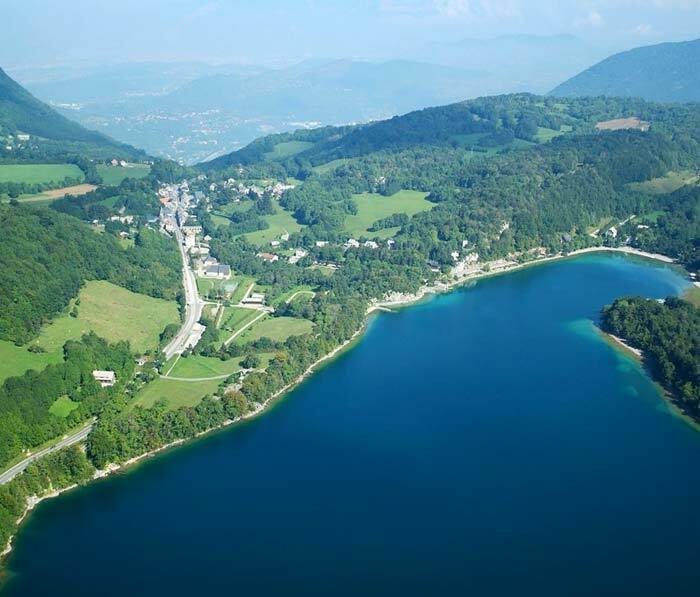 This lake offers many departures to the Romanche Valley. At an altitude of 900m, this natural lake with changing blue waters offers all the pleasures of the water: swimming, boat, fishing … This Lake has a glacial origin. Because of the climate of the region, the lake is often frozen between January and February. 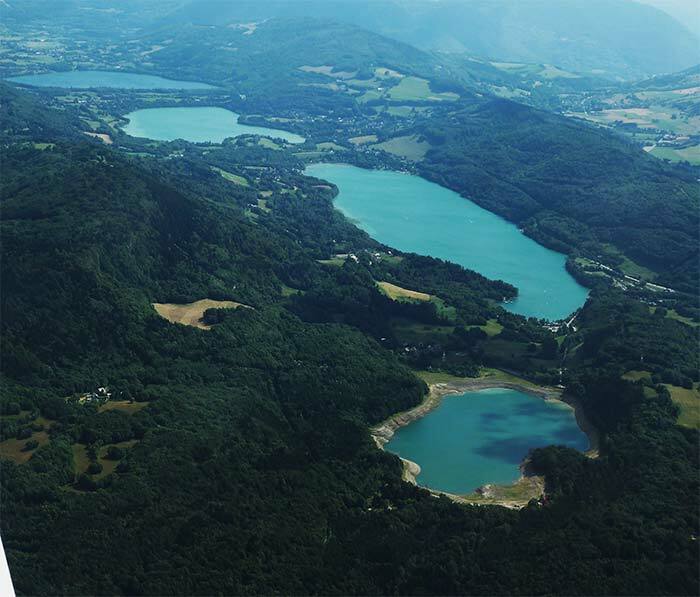 Thank’s to its depth of 39m and its area of 130Ha, this lake became the 8th natural lake in France. The lakes of Laffrey are 4 lakes located on the Matheysin plateau between the town of Laffrey and the town of Pierre-Châtel in Isere, situated in the Taillefer mountain range. The Pierre-Châtel Lake, the Pétichet Lake, the Laffrey Lake, and the Lake of Mort.